Why is Color Important in Art? Study Megan Coyle’s collage technique and respond to questions. Discuss why Coyle’s collages look like paintings. Focus on the role of color and texture in works of art. Create a small paper collage using the “painting with paper” technique. 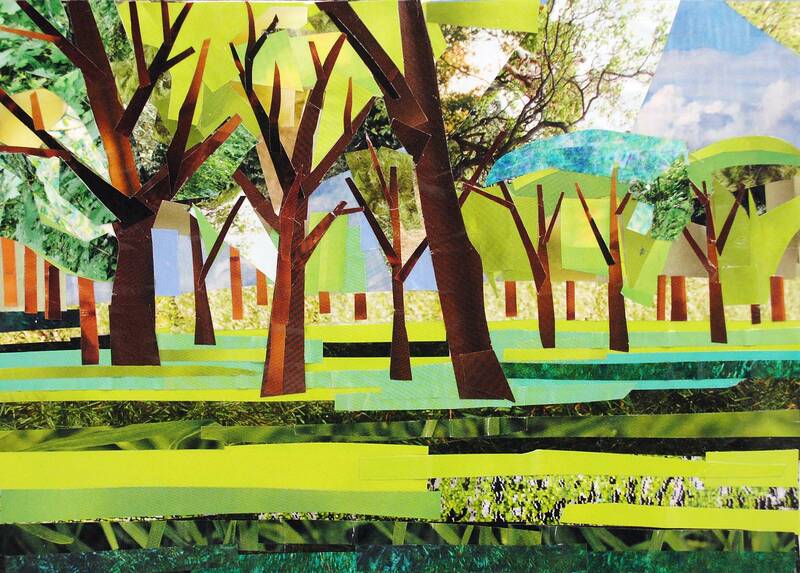 Have students read the brief biography of Megan Coyle and take a look at the collages from her online portfolio. Have students respond to questions from the Student Activities: What is “Painting with Paper,” What is a Still Life, and Why is Color Important in Art? Discuss Coyle’s collage technique. Review how it differs from other collage techniques and what makes it so unique. Discuss the importance of color in a work of art. Review how different Coyle’s collages would look if they were in black and white. How does color help create the mood in a work of art? How does it help illustrate a scene? Remind students that next class period they will make their own still life collage with the “painting with paper” technique. Students will make a collage. Have students draw their favorite object so they can make a still life work of art. Distribute magazines and other collage making supplies and have students collage over their drawings. Did the student complete a paper collage of a still life? Did they demonstrate Coyle’s collage technique? Does the collage focus on color? Does the selection of color help create a mood?